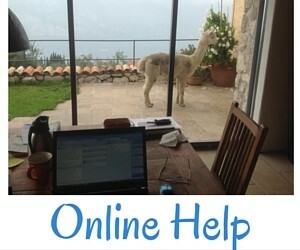 Do you need support for your online activities? Do you want to use Online Communities like Couchsurfing, House Sitting Communities, Travel Communities or for example AirBnB to plan your travels or to have guests or Housesitters? You want to use SKYPE and don´t know how that works? There are many helpful Communities and tools that are really worth using when you are making your plans either to travel or be a host. The first step is always the hardest and can cost a lot of time and even more grey hair if you just don´t know where to go and how to start. Let´s do it together. You will feel secure and have fast results.